Here at Maxcomsoft we operate a simple and transparent price structure. All e-commerce website design packages include access to a content management system (CMS) so you can edit your site once live. We also include basic SEO, 12 months free web hosting and email addresses. Everything you need to get your business online! Choose how to tally the quantities used in the quantity pricing table. Choose to tally quantities based on the cart quantity of the product, each individual variation, each cart line item or based on categories in the cart. Give a RM20 discount to Gold Members when they purchase between 2-5 Product Names. Give them a RM25 discount when if they purchase more than 5. Give a RM10 discount on all items in the Carrying Cases category when a Gold Member purchases 1 or more items from the E-Readers category. Give all Premium Members a RM1 discount on all items. 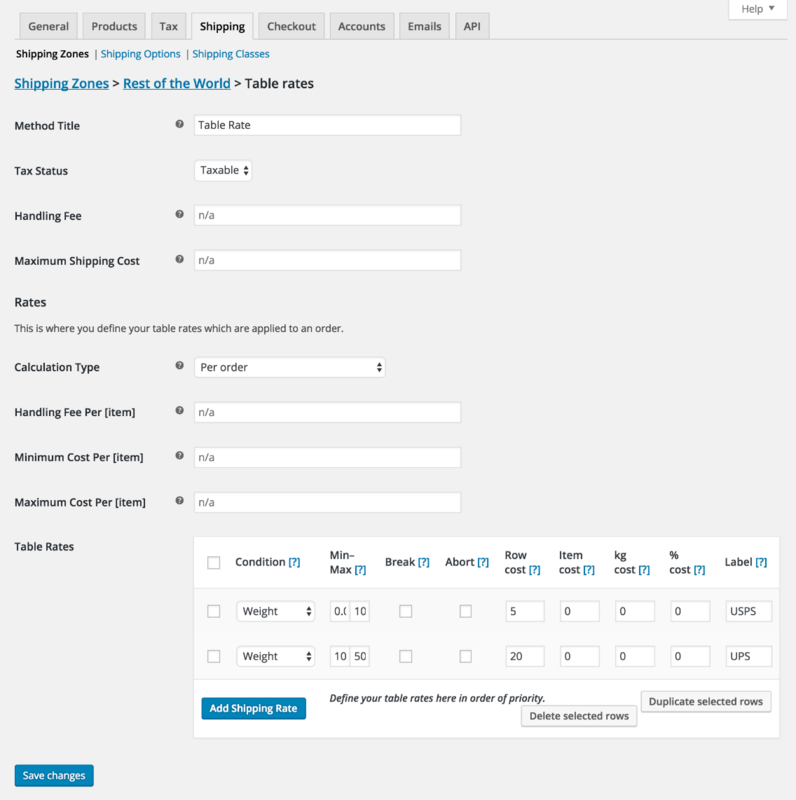 The module giving you highly customizable shipping options. The shipping options giving you highly customizable shipping options. Product bundling is one of the most effective marketing strategies around. Bundle a few products together, offer them at a discount and watch your sales soar. The extension is the ultimate tool to handle invoices, packing lists, and pick lists in your store. Allows you to easily print documents for orders straight from the Orders page. The Print Invoice & Packing list extension is the ultimate tool to handle invoices, packing lists, and pick lists in your store. This extension allows you to easily print documents for orders straight from the Orders page (individually and in bulk), while editing orders, and allows customer to view invoices from the “My Account” page. Packing Lists for individual orders and combined pick lists will help you speed up your fulfillment process, as order items are sorted by product category for efficient picking and packaging, letting you gather orders and double-check them for accuracy. From getting started to using it day in and out, Smart Coupons provides the most advanced and “all-in-one” coupon solution for your store. Whether you want to offer store credits, generate a bunch of coupons for a promotion or provide links to customers with coupons embedded in them, whether you want to style coupons to your branding or allow gifting; Smart Coupons covers it all! Find out your average order size – let’s say RM175. Create a Store Credit / Gift Certificate coupon for higher amount – RM250. Create a new product and price it at a value slightly above average order size. In this case, the new product can be priced at RM200. Ensure the discount is lucrative enough. What you’ve just done is attracted your customers with a good discount, made them pay in advance, and continue spending in future to deplete their credit balance. Create a discount coupon and allow usage only on a specific higher priced product. Link this coupon with a related lower priced product. This way more people will buy the lower priced product and many of them will convert to higher priced product as well. Create a discount / credit coupon that is valid between a particular time range. Smartly price the coupon. Promote the offer in advance, you can even keep raising offer price as coupon start time comes closer. This will create scarcity and prompt people to buy more and buy earlier. Create a new page in your website, link it from a prominent place on your site. And display coupons for offers you have currently available. 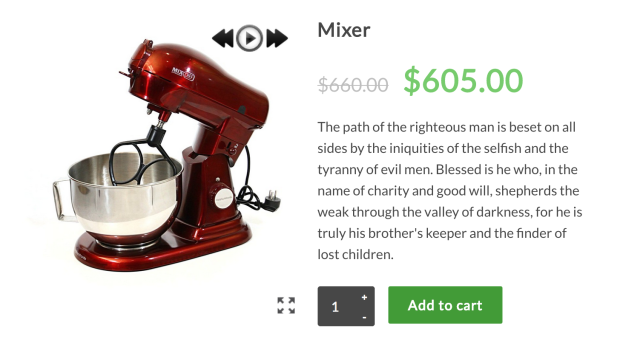 You can even use images, link them to a product page and pass the coupon code in the URL. People looking for deals will find this irresistable! Mass import hundreds, even thousands of Products into your store with the CSV Import suite. CSV Import suite lets you import all types of products, even product variations! Memberships is fully functional as a stand-alone membership solution, but it works very well with the most advanced eCommerce recurring payments solution available: Subscriptions. 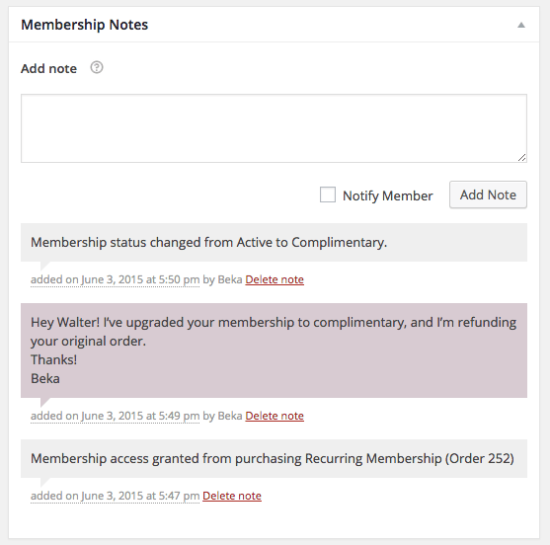 Memberships can leverage some features of Subscriptions to give you more flexibility over membership billing. 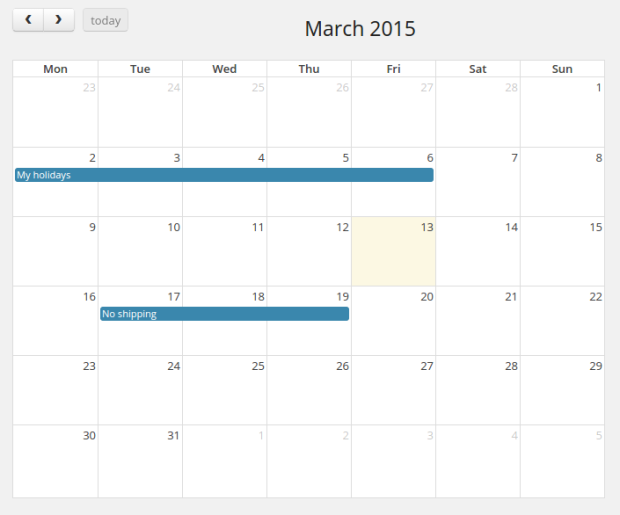 Replace dropdown fields on your variable products with Color and Image Swatches. Using color and image swatches provides a much nicer way to display variations of a product, available styles, available sizes, or pretty much anything else you can display using an image or color. Shoppers appreciate visual representations of product attributes when using your store, and it can help present a polished and clean look. Color and Image swatches is the answer if you are looking to edge out the competition. Any checkout process introduces leaks in your conversion funnel – tightening up those leaks increases conversion rate and improves your sales. Account creation and entering checkout information can cause these leaks, and Social Login can help you patch them. When a customer first visits your site, you can simplify checkout by allowing them to check out as a guest. However, this introduces friction for customers that want to purchase from your store more than once (and hopefully many of them do!). They’ll have to create yet another username and password. Social accounts are tied to a shop user account so that accounts can be accessed even if social accounts are unlinked. New customer accounts that are created with social login will automatically be linked to the appropriate networks. Existing Socials will also be able to connect their accounts to social networks when logging in or via the “My Account” page at any time. 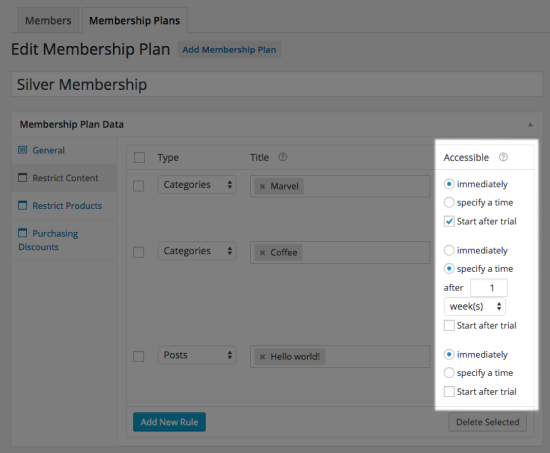 You can even invite logged in users to link their accounts after checkout for faster purchase in the future. Simply enable Social login buttons on the Thank You page. 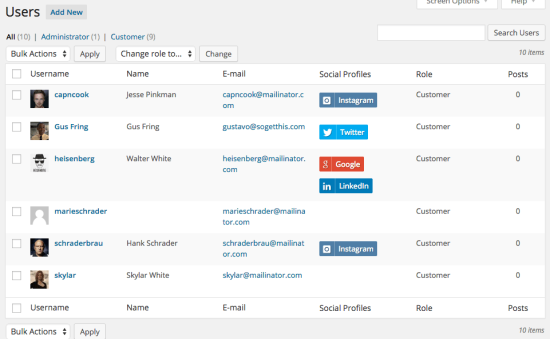 You can also view this information by visiting your “Users” list, where you’ll see a new column for “Social Profiles”. The Newsletter Subscription extension allows you to easily integrate with MailChimp and CampaignMonitor via bespoke options screen in the settings. There is a dashboard widget which displays recent subscriber activity and a placing a signup form in your sidebar or any other areas. Reward your customers for purchases and other actions with points which can be redeemed for discounts. Easily set how many points customers should earn for each Ringgit spent and set how many points can be redeemed for a specific discount amount. Reward your customers for purchases and other actions with points which can be redeemed for discounts. Easily set how many points customers should earn for each Ringgit spent and set how many points can be redeemed for a specific discount amount. Points can be set at the product, category, or global level, and you can also control the maximum discount available when redeeming points. Reward Your Customers with Points-based Discounts! 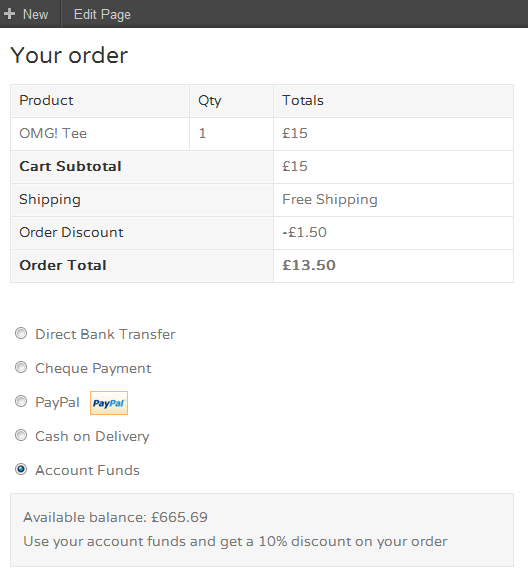 Points are earned for purchases based on the conversion rate you set. For example, customers could earn 1 point for every ringgit spent. This conversion rate can be overridden at the category or product level, so you can encourage customers to purchase specific products. 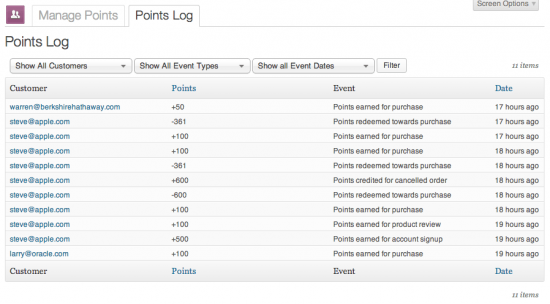 Points earned are displayed on the product page and on the cart/checkout page. Customers can redeem points for discounts based on the conversion rate you set. For example, 100 points could be worth a RM1 discount. 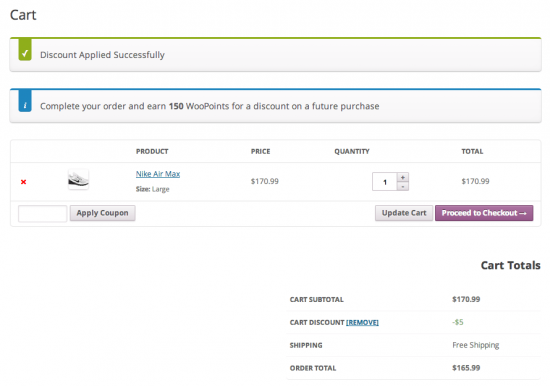 You can set a maximum discount at the cart, product category, or product level that will limit the discount available. Quickly update the points balance for a customer on the manage page. Any changes to a customer’s points balance are then logged and displayed on the customer’s My Account page. Waitlist lets you track demand for out-of-stock and backordered items, ensuring your customers feel informed, and therefore more likely to buy. It takes seconds for customers to join a waiting list via a button on the product listing of your store. As soon as you update stock numbers, everyone on the list gets an email with a link to the product, making it super-simple for them to buy. 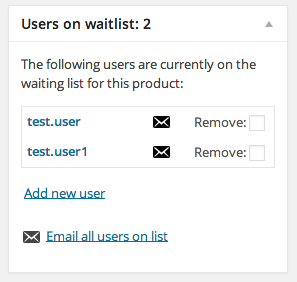 Waitlist supports simple products, product variations and grouped products. With Waitlist, shop managers can sort products by number of customers on their waiting list. This allows them to quickly prioritize which products to re-stock. This extension integrates with Facebook to create a tab on the left hand side of your page where customers can view products and add them to their cart. All from within Facebook. They are then taken to your site to complete the order. This requires that your site have a valid SSL certificate. The Facebook Store module enables you to convert your eCommerce website in to a Facebook friendly destination for customers who want to shop via your Facebook Fan page. Decide what you’d like to show on the homepage of your Facebook Store and display either your Most Recent Products, Featured Products or specific Product Categories. Requires that your site have a valid SSL certificate. 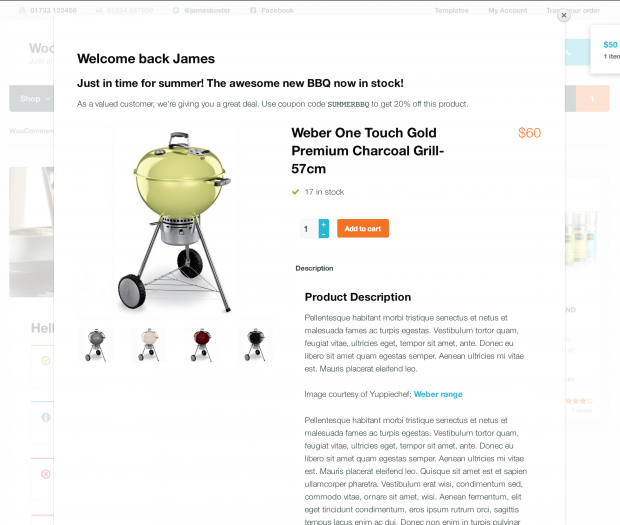 Convenience for your customers should be a paramount priority for any eCommerce retailer. That’s where Multiple Ship-To functionality comes in. For example a RM50 store credit voucher used at checkout for a RM30 purchase will allow for a future purchase of RM20 or until the total value expires or is exhausted. Customers can also buy products worth more than the remaining store credit and pay the difference at checkout. Store Credit includes a handy utility for generating and emailing a credit coupon to a customer by entering their email address and the amount. Alert people to latest offers, prompt them to sign up to newsletters or just deliver some generic or important content to all your visitors. Alert people to latest offers, prompt them to sign up to newsletters or just deliver some generic or important content to all your visitors. The Splash Popup extension uses pages to deliver content to users based on a few different properties. Send SMS updates to customers when their order status is updated and receive an SMS message when a customer places a new order. Why offer SMS Order Updates? Simple – it’s the best way to give customers information about their order. According to Frost & Sullivan, SMS messages have a 95% open rate and most are read within 5 seconds. This is three times better than email and can be far more personalized. For example, you could customize the “Completed” status SMS message to include a coupon code for 10% off the next order. Get creative and watch your sales soar! designed to work with Twilio, the premier cloud communications service, with support for over 40 countries. You’ll need to sign up for a Twilio account if you don’t already have one. 360 Image provides you with an easy way to add a dynamic, controllable 360º image rotation to yoursite. The 360º Rotation having replaced a single product image. Make it easy for customers to choose a delivery date for their orders during the checkout process, or notify them of shipping and delivery estimated dates. As the site owner, you can decide which dates are not available for shipping and delivery. 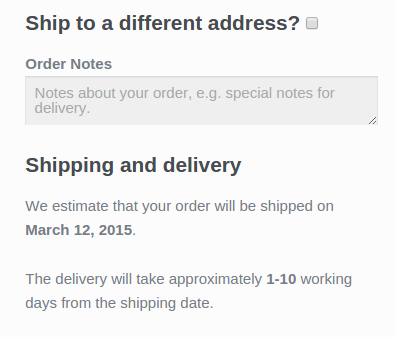 You can also disable specific delivery periods by country or state. Capturing the delivery date, you can process orders more efficiently, improving your productivity and satisfying your customers. Display estimates delivery dates at checkout. 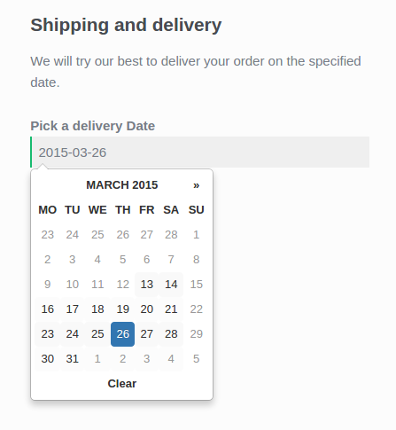 Display a delivery date selector at checkout. 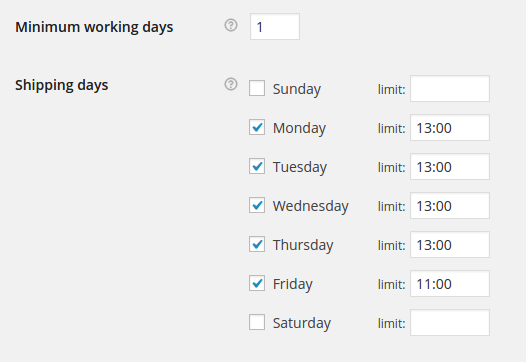 Set delivery date options per day of the week. Shipping calendar, within the admin. Dropshipping to send automated order notification emails to your wholesale dropshippers when new orders arrive via your shop. Dropshipping to send automated order notification emails to your wholesale dropshippers when new orders arrive via your store. 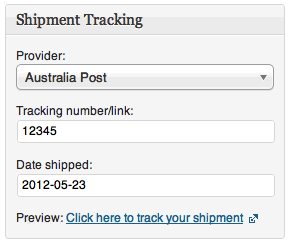 Dropshipping also generates a packing slip PDF file, and attaches it to the order notification email. Your dropshippers can print the packing slip, and add it to the customer’s shipment for easy blind dropshipping. Adding a supplier to your shop, using a short form. Turn your shop into a full-blown Multi-level Marketing system (Affiliate Network), right inside your website! It is a complete affiliate recruitment, management, and tracking system. Reward your affiliates with lifetime commissions on all future purchases by a customer. Lifetime commissions is a huge incentive for any affiliate looking to promote your products and services. Your affiliates will work much harder to get linked to a customer, and as a result your sales will increase dramatically. Turn your Affiliate Network into a full-blown Multi-level Marketing system, right inside your website! It is a complete affiliate recruitment, management, and tracking system. This module allows your site members to send traffic to your site using their referral links. You can set multiple commission levels to reward those affiliates that are more actively promoting the products and services on your MLM site. As members promote your site using their referral links, any sales that are made as a result, will generate a commission to your affiliates based on your MLM settings. Your affiliates can earn commissions on both Direct Referrals that they made themselves, and Indirect Referrals made by their Sub Affiliates. This allows your affiliates to earn commissions from multiple sales by simply referring just one person to your website! Once activated, the module will track new affiliate registrations on your MLM site and automatically place them in the Matrix. Then, they will earn commissions based on this Matrix structure. For example, if you set up a 3×5 Forced Matrix, your affiliates can have 3 Sub Affiliates on their 1st Level (width), and can earn commissions up to 5 levels deep (depth). After the maximum width of 3 is reached, all future referrals will be placed under the next available Sub Affiliate in their Matrix, top to bottom, left to right, building their downline to 5 Levels. So, each of those 3 Sub Affiliates can have 3 Sub Affiliates of their own, and so on, for a full 5 Levels! This turns your site powered site into an automated sales force for your online business! Offer expiring deals to your customers and optionally display order totals & savings via a stylish banner. Easily add a unique video tab to your product pages. Perfect if you have video demonstrations of your products. Multiple Languages & Multiple Currency option.